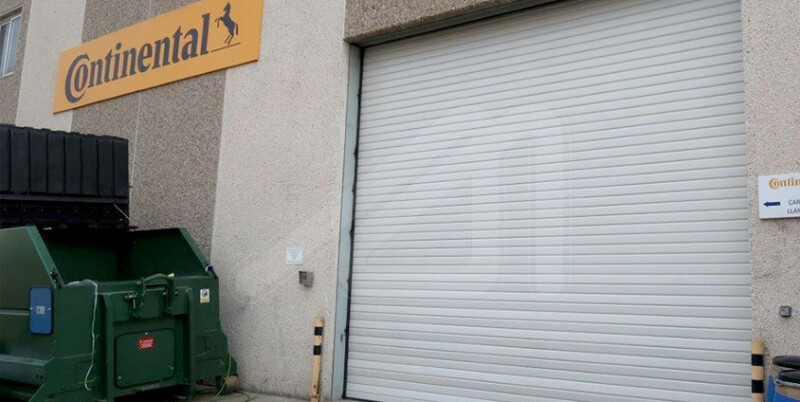 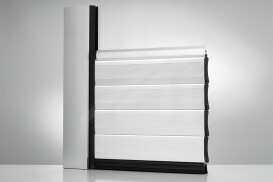 The roller shutters from Angel Mir – Portes Bisbal SL are doors of high profitability, robustness and simplicity. 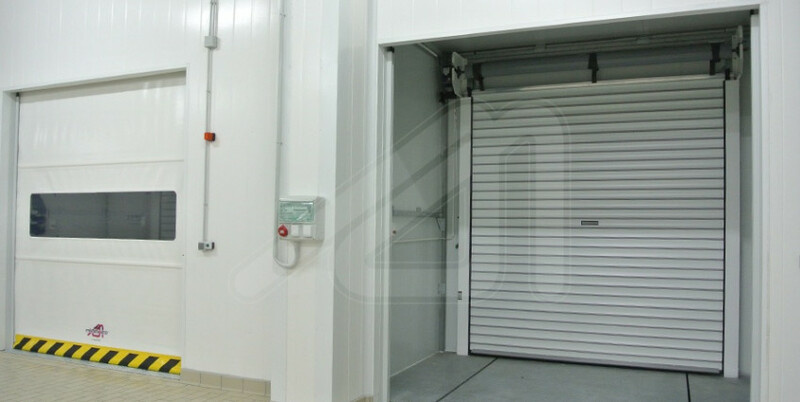 They are particularly suitable for large industrial units and frequent use. 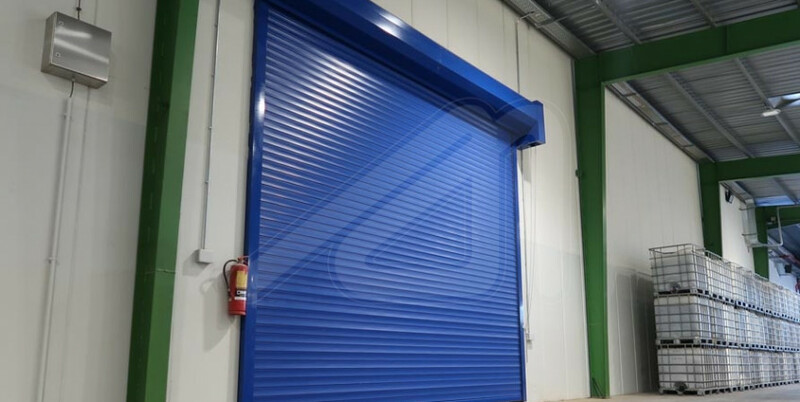 The opening is made rolling the blades on top of the door, thus occupying the minimum space and allowing great flexibility in design. 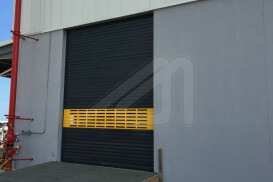 Also, thanks to this design, these doors are very practical, safe and noiseless. 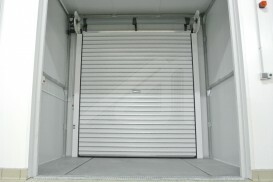 They provide a very high level of insulation being therefore suitable for being used either inward or outward. 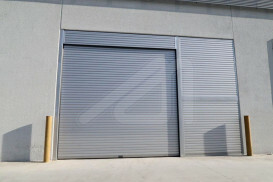 If required, the can be automatized. 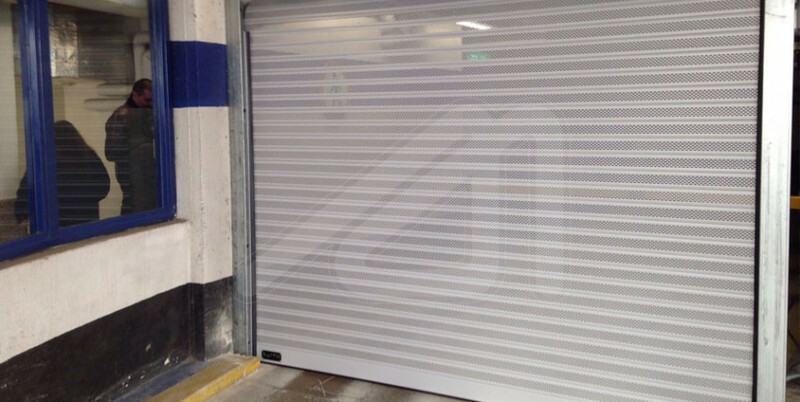 Roller shutter door for entrances in limited spaces. 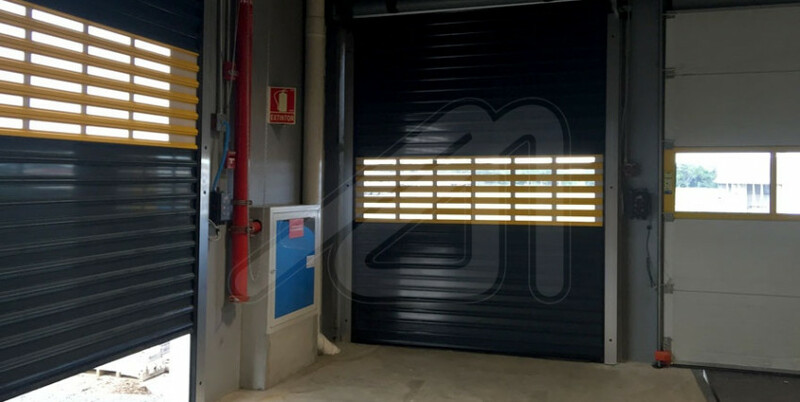 Roller shutter door suitable for interior or exterior separations, being very aesthetics and having remarkable insulation. 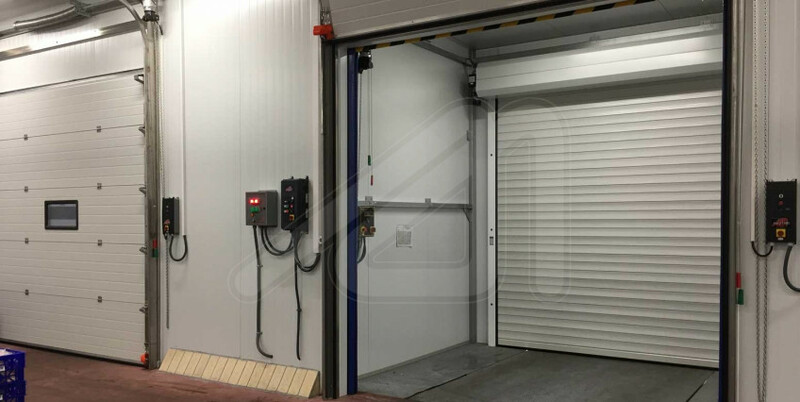 A roller shutter door for industrial use highly insulating thanks to its thermal bridge breaking point system.